Blue is a color of speculation; the color means different things to different people. For instance, some find the hue mellowing while others find it encourages strength. Today we dress boys in blue, but until the 1900s it was known as a girl’s color. More so, the amount of blue shades can seem overwhelming. From sky blue to navy and even electric, each blue shade can be interpreted in a unique way. Diving into the history behind the color blue shines light on its checkered past, but it doesn’t necessarily explain why we feel blue or are drawn to blue humor. Nevertheless, knowing the history of blue can help us understand how this color influences the world we live in today. 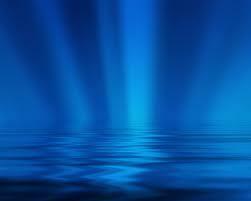 In biblical times the color blue was seen as holy. The Old Testament notes how the High Priest wore a blue robe and the Ark of the Covenant was covered with a blue cloth. Similarly, in the book of Numbers, God instructs Moses to tell the Israelites to “…make tassels on the corners of your garments, with a blue cord on each tassel. You will have these tassels to look at and so you will remember all the commands of the Lord, that you may obey them…” (Numbers 15:40 NIV). More so, recall early paintings of the Virgin Mary. She was often portrayed wearing celestial blue. However, by the early years of Colonial America blue had taken on a different meaning. In short, blue meant bad. At this time, there was something called, “Blue Laws.” According to First Amendment professor David Hudson, these laws were put in place to “…encourage people to go to church, and to prohibit people from engaging in secular activities.” A shining example of a Blue Law is the prohibition of alcohol sales on Sundays. Today, many of us fear the pink slip, but years ago comedians feared the blue envelope. In the early 1900s, traveling comedy groups were handed blue envelopes before they entered new venues. The envelopes contained notes on what material ought to be cut from the show so no local audience members would be offended. What Do You Think About The Color Blue? Believe it or not, the rich history behind the color blue continues. Have you ever wondered why people sing the blues? And do you know what a “blue devil” is? The NPR article, “Sacred, Sad And Salacious: With Many Meanings, What Is True Blue?“ continues to unravel the history behind blue. But this story cannot end until we know what the color blue means to you. Do you have a strong connection to the color blue? If so, what shade speaks to you? And how do you use this color to brighten up your world? Share with us by leaving a comment in the “Leave a Reply” section below. The colour blue, electric blue, always reminds me of two spiritual beings, the Virgin Mary and Saint Michael, because a friend told me she saw them in church on separate occasions and that was their colour. The moment my mother died, a blue ball came out of her chest and passed by my father’s head. So, for me, blue is the colour of the spirit and the body divine. I love the colour blue, especially royal blue. It is a colour full of life and depth. I love your breakdown of all the different uses of blue historically.